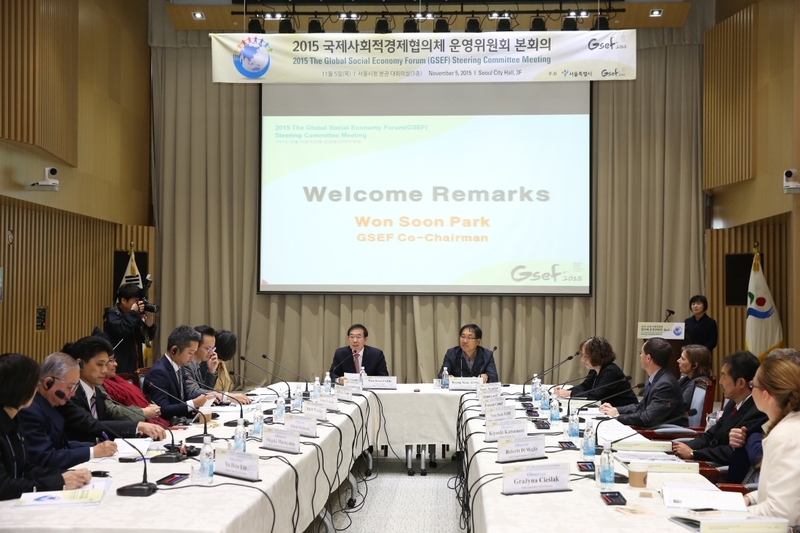 GSEF 2015 Steering Committee Meeting successfully held during 4 – 5 November, 2015. Nine Steering Committee Members were elected. 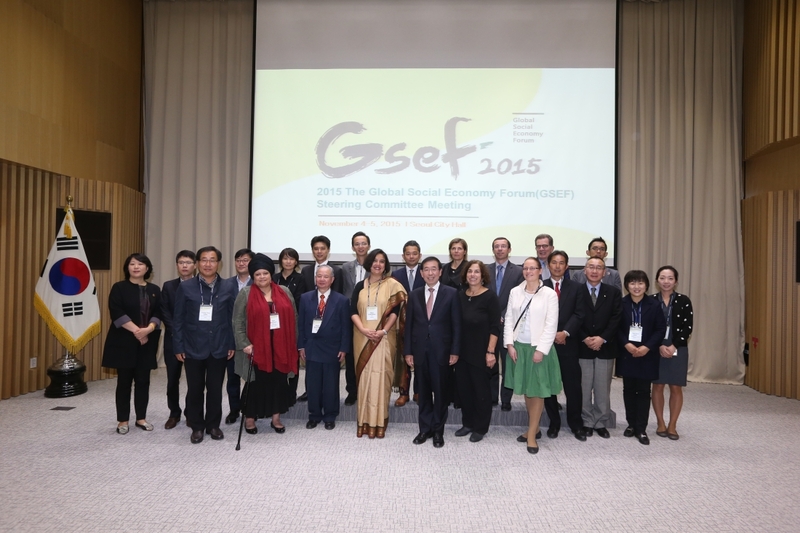 Also, six observers representing four local governments (The City of Warsaw, Taipei Government, Kawasaki City, Setagaya City), one international organization (ILO) and one social economy network (Association of the Seoul Declaration, Japan) participated in the SC main sessions to share their experience and insights for the development of GSEF and promotion of the SSE. Along with the SC plenary sessions, SSE seminars (Asia Policy Dialogue for promoting social economy, Current issues and prospect of social impact bond in the world, Dialogues between SDGs and the social economy in Korea, Social economy, social welfare and jobs) were held to showcase diverse aspects of social economy.